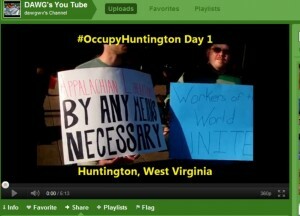 Occupy Huntington, WV Day 1 – Direct Action Welfare Group Inc.
DAWG members are attending Occupy Huntington. Here is a video produced by DAWG from the first day of the occupation. Next: Next post: One Class One Cause!